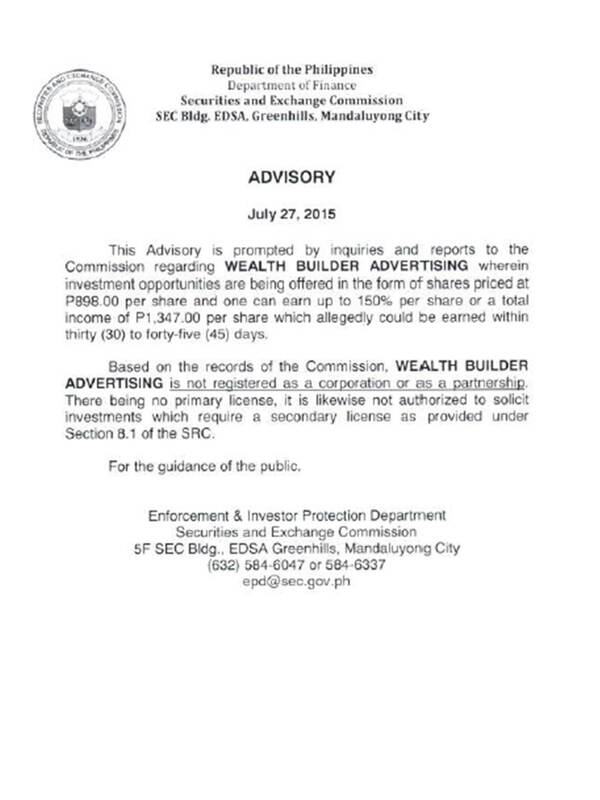 The Securities and Exchange Commission, the government body that regulates the securities markets and protect investor in the Philippines, recently issued a warning against Wealth Builder Advertising (WBA) - an alleged advertising site where investors are paid good returns for their investment, similar to a Ponzi scheme. The public is hereby advised that apart from a similarity with an existing product brand carried by Insular Life, WBA is no way connected to Insular Life. The public is advised to exercise self-restraint from investing their money into such investment scheme and to take the necessary precautions in dealing with these types of entities.